*NICE PRICE! * Amazon – WDF 150PCS Disposable Plastic Tableware include 25 Dinner Plates,25 Salad Plates,25 Forks, 25 Knives, 25 Spoons, 25 Disposable Napkins just $25.19! PESACH! 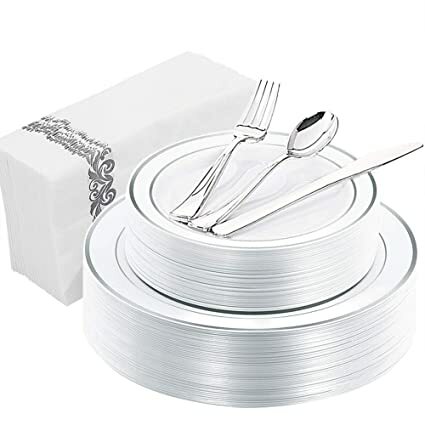 Amazon has a nice deal on the WDF 150PCS Plastic Tableware include 25 Dinner Plates,25 Salad Plates,25 Forks, 25 Knives, 25 Spoons, 25 Disposable Napkins for $27.99 – 10% coupon on the product page = just $25.19 with FREE Prime shipping or free shipping with $35 purchase!